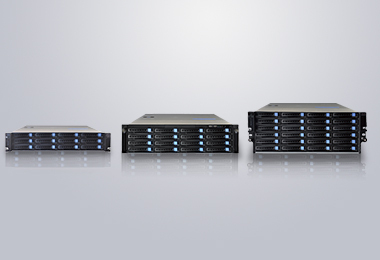 The SV1000G2-L series is an entry-level IP SAN / NAS storage system with extensive data storage and management capabilities, with broad applicability, flexible customization and cost-effective features. 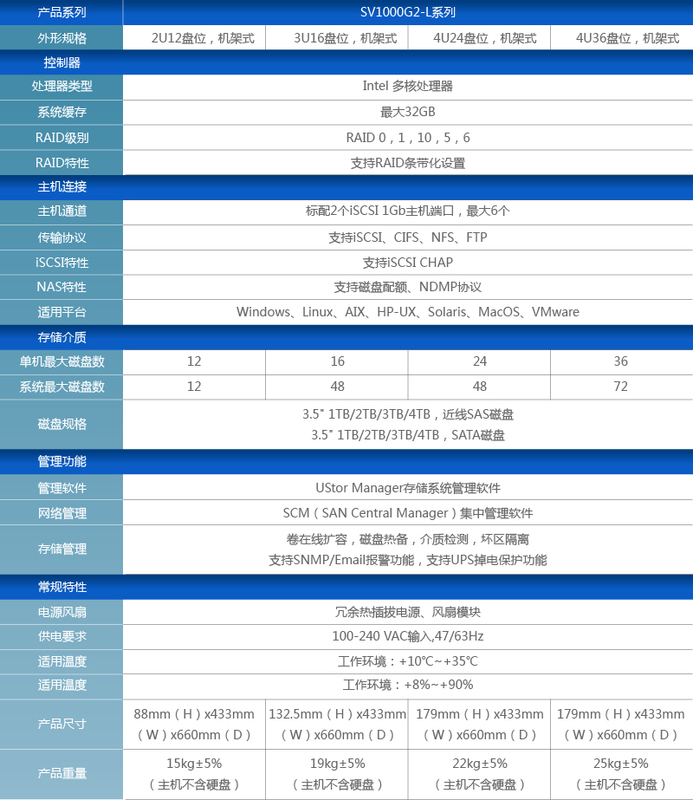 Unique SAT application storage technology, you can integrate embedded third-party software, and applications more closely integrated to achieve a unified server, storage, application platform. SV1000G2-L series of products are widely used in small and medium scale file backup, file sharing, video streaming media applications, and is widely used in security monitoring, IPTV, radio and television, network video, non IDC data storage and other industries. SV1000G2-L series of products with a wide range of applicability, flexible customization and high cost, etc., is a rich data storage and management functions of the entry-level SAN/NAS IP storage system. Unique SAT application storage technology, can be integrated into the third party software, and more closely combined with the application, to achieve the server, store a unified application platform. SV1000G2-L series of products are widely used in small and medium scale file backup, file sharing, video streaming media applications, and is widely used in security monitoring, IPTV, radio and television, network video, non IDC data storage and other industries. With IP SAN/NAS integrated access feature, IP SAN and NAS modes can be used simultaneously on one device to achieve a unified storage architecture, which reduces user procurement and maintenance costs, and is easier and more convenient to manage. The innovative SAT (Storage Appliance Technology) storage architecture, based on the open UStor system, loads third-party software to run user applications on storage, saving users server investment. Not only can integrate video monitoring, website, backup and other Linux-based applications, but also provide an open API interface for third-party software calls to meet the various needs of users for server and storage integration. The advanced 6Gb/s SAS disk channel technology not only improves the internal transmission bandwidth, but also has a powerful JBOD expansion capability to meet the massive data storage needs.